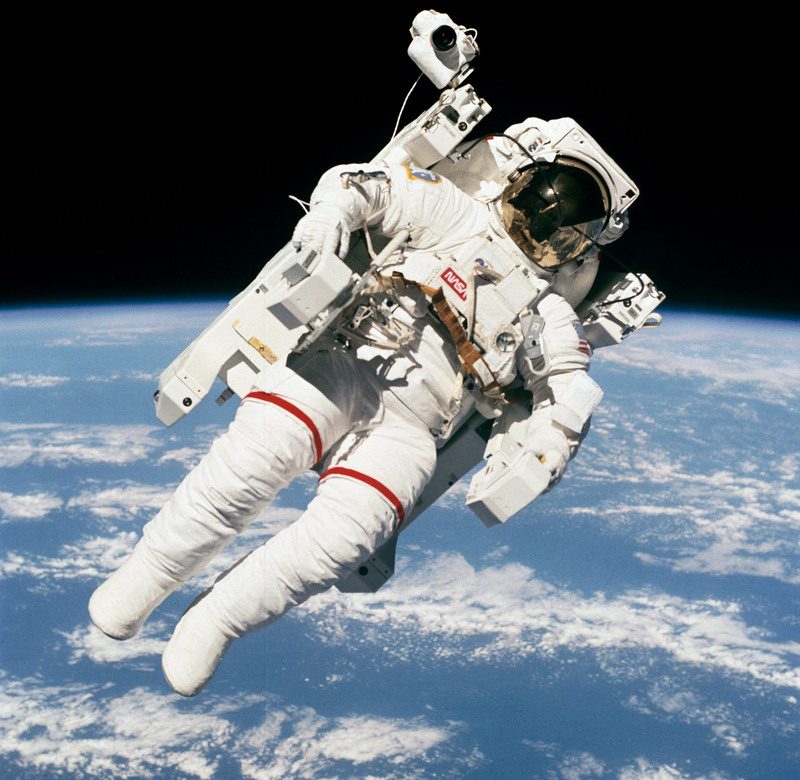 McCandless is perhaps best remembered as the subject of a famous NASA photograph flying alongside the space shuttle in the Manned Maneuvering Unit (MMU) – the first astronaut to fly untethered from his spacecraft. His time as an astronaut encompassed much more than that mission, including serving as the mission-control communicator for Neil Armstrong’s and Buzz Aldrin’s moonwalk on the Apollo 11 mission. Born June 8, 1937, in Boston, McCandless graduated from Woodrow Wilson Senior High School, Long Beach, Calif. He received a bachelor of science degree from the U.S. Naval Academy in 1958, a master of science degree in Electrical Engineering from Stanford University in 1965, and a master’s degree in Business Administration from the University of Houston at Clear Lake City in 1987. Captain McCandless was the son of the late Rear Admiral (USN) and Mrs. Bruce McCandless. Admiral McCandless received the Congressional Medal of Honor for the naval battle of Guadalcanal, Dec. 12-13, 1942. He passed away in 1968. His paternal grandfather, Commodore (later Rear Admiral) Byron McCandless, USN, received the Navy Cross for World War I, and his maternal grandfather, Capt. Willis Winter Bradley, USN, was the first recipient of the Congressional Medal of Honor in World War I.
Capt. McCandless is survived by his wife, Ellen Shields McCandless of Conifer, Colo.; his son, Bruce McCandless III of Austin, and his wife, Patricia; his daughter, Tracy McCandless, of Islamorada, Fla., and two granddaughters, Emma Rose and Carson Clare McCandless of Austin. He is also survived by a brother, Douglas M. McCandless of Washington, D.C.; and two sisters, Sue M. Woodridge of Texas, and Rosemary V. McCandless of Dallas.